No more need to dread receding hairlines and baldness. Avail treatments and procedures to get a beautiful head of hair. Hair transplant in India is becoming more and more popular both to replace untimely loss of hair and to change hairlines. The procedures are safe and pain free. In Hair transplant procedures hair follicles from one part of the body are transplanted to the hairless part. The process can be used for transplanting hair to the head, eyebrows or eye lashes. The latest techniques of transplant yield permanent results. Follicular transplant (FUT) follows two methods: strip harvesting and follicular unit extraction. Strip harvesting is done by extracting skin with dense hair growth from one body area and fixing them on the hairless part of the body. In follicular unit extraction the procedure consists of removing units of clusters of hair being extracted from the root and re-planted in the target area. Strip harvesting is the more preferred method today. The procedure is fast; it takes about two weeks for recovery. The donor site is left with a slightly visible scar. It is also a very cost effective method. Follicular unit extraction (FUE) can be more time consuming depending on the number of units needed to cover the target area. For small area transplants, a single sitting often suffices. For larger areas several sittings are required. However, as is well know, there are no gains without pain and the end result in FUE is more spectacular. The increased time and cost factor for this method has been much reduced with the introduction of robotic surgery. The transplant process goes through several steps for success in gaining a luxuriant head of hair. In the first step of transplant, surgeons relocate hair follicles from the back of the head to the hairless area. Hair in the donor area needs to be trimmed before the procedure starts. After the trimming, the donor area is anesthetized with local anesthesia. In the next step the bald resistant tissue is removed from the donor area and the wound is sutured. Hair from surrounding area is combed over the donor area effectively covering the sutures. Ten days after surgery these sutures are removed. Surgical technicians view the tissues under microscopes to dissect and prepare them for unit graft. The target area is then locally anesthetized and prepared for surgery. Very small incisions are made in this area and the hair follicles are planted in these incisions. The incisions are made in irregular patterns. 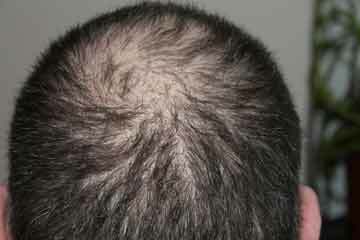 Grafts are placed in the recipient area according to hair growth density. The smaller grafts with a single or two follicles are placed in the front close to the hairline and the denser grafts are placed behind. Incision marks vanish naturally. Transplanted hair acts like natural hair. Hair transplant in India is affordable and accessible. Aesthetic Clinic in Mumbai which provides best services for surgical treatments for hair transplant and use best techniques like Micro-Mini grafting and Follicular Unit Transplants. Our expert surgeons provide every type of treatments for hair care at affordable prices and also provide hair care tips and solutions for all hair problems.